The Wakatobi archipelago is located in the remote province of South East Sulawesi. The name "Wakatobi" is an acronym of the four main Tukangbesi Islands: Wangi-wangi, Kaledupa, Tomia, and Binongko. Wakatobi National Park is the third largest marine park in Indonesia, comprising a total of 1.4 million hectares, of which 900,000 hectares are decorated with different, colourful species of tropical coral reefs. Wakatobi is widely recognised as having the highest number of coral reef and fish species in the world with 942 fish species and 750 out of the world's 850 coral reef species. The islands are also famous as the largest barrier reef in Indonesia, second only to the Great Barrier Reef in Australia. Underwater explorer and conservationist, Jacques Cousteau, is said to have called the Wakatobi islands (previously known as the Tukangbesi islands) an "Underwater Nirwana". 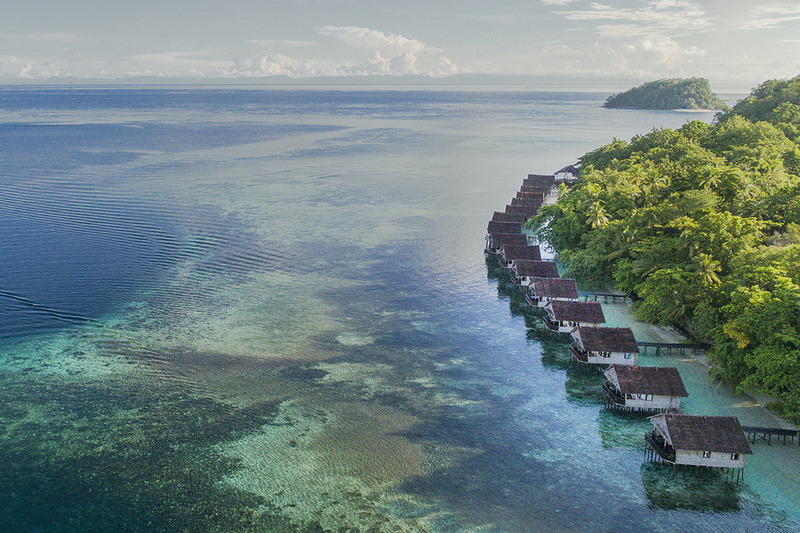 Wakatobi lies right in the heart of the Asia-Pacific Coral Triangle, between the Banda Sea to the northeast and the Flores Sea to the southwest. The island group has 143 islands of which only 7 are inhabited by most notably the Bajau communities, Indonesia's seafaring nomadic people. The Wakatobi Islands offer crystal clear pristine waters and a rich bio-diverse underwater life, and are one of 3 hearts in the World Coral Triangle stretching from the Solomon Islands in the Pacific to Wakatobi, and North to the Philippines. The archipelago has 25 groups of coral reefs including fringing reefs, barrier reefs and atolls. Mangrove forest, coastal forest, lowland swamp forest, riverbank vegetation, lowland rainforest and mountain rainforest cover the islands. The main gateway to the Wakatobi archipelago is Matahora Airport on Wangi-wangi Island. A private airstrip is also present on Tomea Island, used exclusively for visitors of Wakatobi Dive Resort. Most people visit Wakatobi for the world class snorkeling and diving. There are tours to visit neighbouring sea gypsy villages, kayaking tours through the mangroves, shallow sink holes to explore, kiteboarding and stand up paddleboarding. The air temperature is a constant 26 - 30°C all year. Wakatobi is one of the most arid regions in Indonesia with sunshine on most days. The air humidity is mostly only about 65 - 75%. Generally speaking Wakatobi has two seasons: Easterly winds from June to October, and Westerly winds between December to April. November and May are usually transitional months. July and August see a slight increase in wind, and the sea ripples somewhat, visibility is still fine. The weather in these months is a little cooler than the months on either side, making it a great time to visit for those who prefer to sleep without using the A/C at night (book a Beach Bungalow on the South beach to enjoy the breeze). Diving around Wakatobi is conducted year round and the location is quite protected by the surrounding reefs and islands. The warmest water is found in the upper water layer around late October, when temperatures can reach a maximum of 30ºC. The coolest water falls in July to August with a minimum temperature of 26ºC. Wakatobi is located in an area that encompasses the highest coral reef biodiversity in the world giving you the greatest opportunity to see the biggest variety and diversity of marine life on your dives. While diving at Wakatobi, you'll not only see beautiful vistas or pristine coral reefs, but also abundant colourful reef fish and rare and unusual cryptic "critters". New undocumented species are constantly being discovered at Wakatobi. The entire Wakatobi region has been turned into a protected and sustainable marine park. 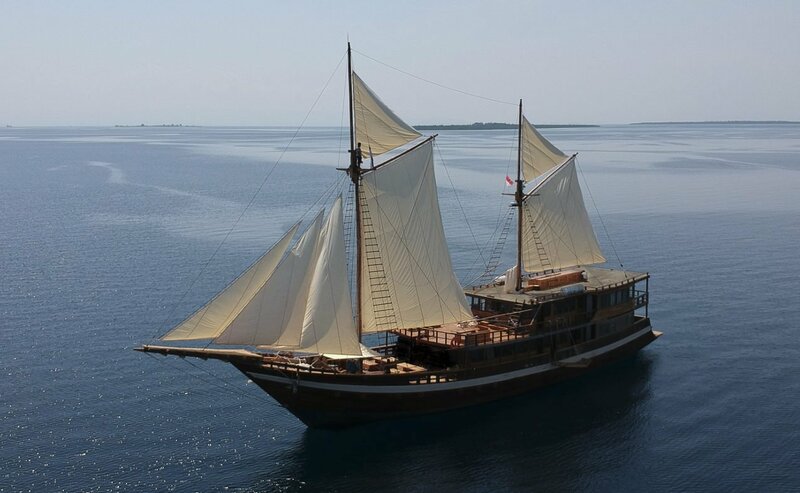 Getting to the dive sites is easy and comfortable on board one of Wakatobi Dive Resort's three specially designed, traditional Indonesian dive boats. Wakatobi also has a world famous House Reef. A "taxi boat" tender service is offered to transport you to extended parts of the house reef so long swims are not required. Visibility is normally between 20-50 metres and averages 35 metres. There are no rivers or lakes bringing sediments, therefore visibility is not affected by rain. Wakatobi Dive Resort is also the perfect destination for a snorkelling adventure. This is a dive you could do every day. A stunning beauty from the reef top to the extreme 80m depths and suitable for trimix rebreather divers. The steep slope explodes with life and makes for a great drift dive - even snorkelling is exhilarating on the very top. Schools of snappers, skip jacks and many other fish, huge barracudas watching the divers and lots of long toms hunting below the surface. Plus a plethora of macro stuff - if you manage to change your focus among the opulent surroundings. Mating cuttle fish and table corals with oriental sweetlips below and swirling anthias on top will keep you fascinated to the end of the dive. This famous Coral Garden is as fine as any dive site in the world. Large schools of fusiliers, pyramid butterfly fish, sergeant majors, snappers and redtooth triggerfish swirl around you in an endless dance. Roma is a large, wide pinnacle, fringed with beautiful potato coral and adorned with anemones and clownfish rising into the current. Banded sea snakes can be found and like all the sites in Wakatobi, you can discover fruitful macro life if you focus on the task— ribbon eels, scorpion leaf fish, winged pipe fish, spindle cowries, carpet anemone shrimps and rockmover wrasses. Actually six different sites, one accessible directly off the beach in front of the resort, including a seagrass bed and healthy reef top right of the beach. It's only 80 yards from the shoreline to the drop-off which can extend down to 40 metres. With well protected schooling fishes and the jetty full of resident fish, the snorkelers find here plenty of attractions without the need for taking a boat. Highlights include a great variety of fishes, invertebrates, macro subjects, beautiful soft corals, gorgonians, tunicates, whips, sponges, overhangs-all totalling a spectacular rainbow of colour. Frequently there are strong and changing currents. This is definitely a reef that you can dive all day (and night) long. By varying your depth and drop off points, each dive is a unique. Indo Aggressor, Forgotten Islands "$1,600 Savings Sale"
Raja Ampat Aggressor “2 For 1 Sale"
S/Y Indo Siren, Komodo "April Sale"
Mermaid I and II Liveaboards "April Specials"
Coralia Liveaboard, Raja Ampat "Soft Opening Discount"
Papua Explorers, Raja Ampat "Summer Special 2019"
Papua Explorers, Raja Ampat "December 2019 Offer"
Papua Paradise Eco Resort "Bonus Night Special"
Papua Explorers, Raja Ampat "Summer Special 2020"